Stormie Omartian is a bestselling author who personally connects with readers by sharing experiences and lessons that beautifully illustrate how God changes lives when we learn to trust in Him, seek His will, and follow His lead no matter what the circumstances. The strength and transparency of Stormie Omartian’s message has driven her books to the top of bestselling lists and earned many prestigious awards. You must know that you are worth much to me whether you accomplish anything or not. Even if you are rejected in the world's eyes, you are valuable to me. As prayer warriors, we must remember that no matter how hopeless a situation may appear to us, God gives us power in prayer to do something about it. We may be overwhelmed by it, but God isn’t. We may not see a way out, but God can. Because of Him, we can make a difference! Pray that your children will develop a heart that seeks after God. If you’re being tormented by guilt or feelings of failure in this area, confess your thoughts to God, pray about it, put it in God’s hands, and then stand up and proclaim the truth! The greatest sense of love, which is available for us at all times, is God’s love. 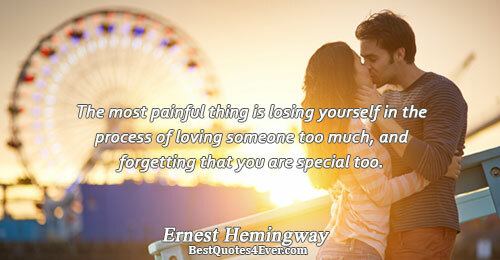 Many of us suffer because we think that if people don’t really love us, then we will have to live forever without love. But it’s not true. The greatest sense of love, which is available for us at all times, is God’s love. God wants to lead you to places you cannot get to without Him, and He does that by the power of His Spirit. He can bring you into the realm of the miraculous - not as a show, but as a demonstration of His love and compassion for the lost, hurting, or needy. Who among us doesn’t want or need that? Know that we never have to walk in darkness. Even when we get into dark times or dark situations, God’s light is always there to be found! When you receive God's love, it means you're getting close to Him, spending time in His presence, opening your heart to Him, seeking to know Him, and desiring to be more like Him. Remember that choosing to receive God's love changes your life. The Holy Spirit’s desire is that we become more and more dependent upon Him for every step. That’s because He wants to take us to places we’ve never been before. To heights we can’t even imagine! We all can have accidents in life. God knew this, and so He sent Jesus as our Healer. His healing touch is God’s mercy to us. If you are hurt, ask God to heal you and then trust Him to do it in His way and in His time. When you live by God’s Word, your life works. When you live without God’s Word, life doesn’t work. God’s Word builds you up, feeds your soul, and gives you strength, direction, guidance, hope, encouragement, and faith. Remember that He gave you His Word so that you would know Him and the way He wants You to live.